Everyone knows that hardwood flooring comes with a hefty price tag attached. If you're on a budget, don't forget to consider lower-cost softwoods; in some rooms, species like pine or spruce make perfectly suitable substitutes for their denser cousins. Think wood flooring has to strain your remodeling budget? Think again! Though hardwood flooring typically costs a pretty penny, softwood flooring—such as pine, cedar, or spruce—can be had for a lot less. There’s a tradeoff, of course. The main drawback of softwood floors is that they are, well, soft. That means they’re more susceptible to scratches from foot traffic and dents from stuff you drop. However, much of that sort of damage can be minimized with a few layers of polyurethane. And besides, a lot of folks like for a floor to show signs of wear, feeling that it adds a dose of rustic charm to the home. One other plus of opting for softwood floors: They’re generally more environmentally friendly than hardwoods. That’s because softwood trees tend to grow more quickly and thus can be sustainably farmed. 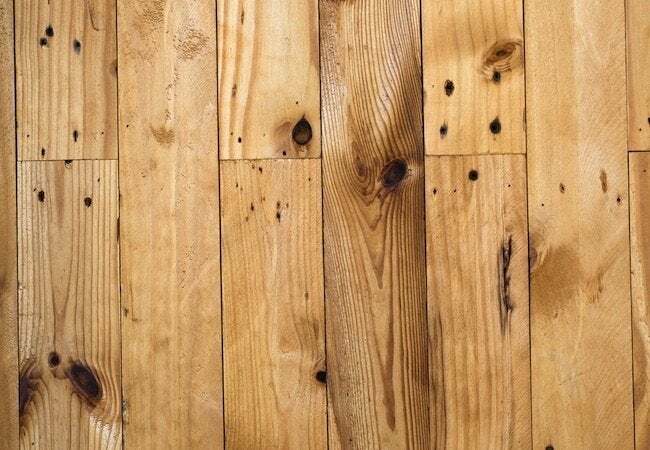 If that sounds appealing—and you don’t think you’ll mind a bit of natural “antiquing” over the years—then softwood flooring may be a good choice.